ColourPop collabs are always amazing, but now that they’ve teamed up with the cutest creature around, you can go ahead and start saving your money. Because you’re going to want one of everything this range has to offer. Find out how to preview the ColourPop X Hello Kitty Collection so you can see this line-up in person. If you live in the Irvine, CA area, you’re in luck. Because according to the brand’s Instagram, ColourPop will be previewing the line at the Hello Kitty Café Pop-Up Container. They’ll have a Lippie Bar set up from 12 p.m.-4 p.m. PT on Oct. 21. You won’t be able to purchase any of the products just yet, but you’ll get to take a really good look at everything. That way, you’ll know exactly what you’re saving up for. Thankfully, you won’t have to wait much longer to shop the collection. 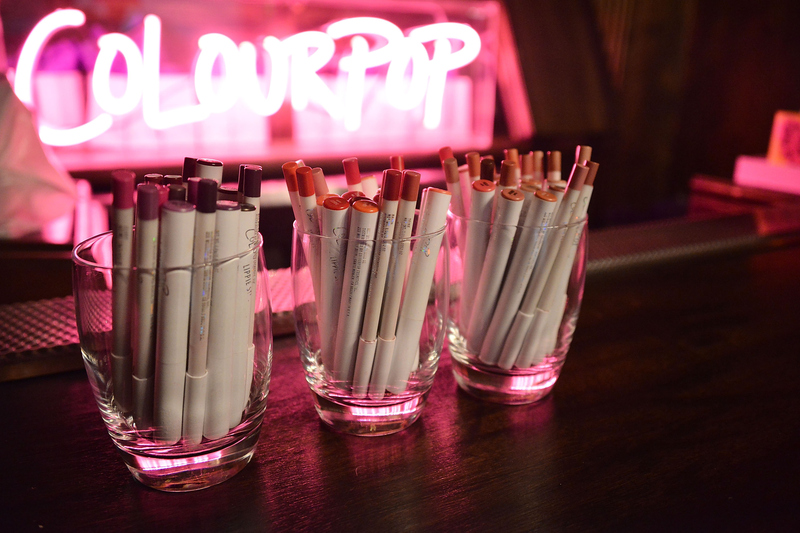 Several publications are reporting that it will go live on the ColourPop website on Nov. 1. But, if you do happen to be in the area, it couldn’t hurt to peek these items a tad early, you know? It’s never bad to have a shopping strategy in place, especially considering these goodies are probably going to sell out quickly. You should definitely take the chance to see these items up close and personal IRL, but given how frequently the brand posts to Snapchat, there's a chance you'll get a tiny glimpse of these items online, too. Fingers crossed! This collab is going to be all sorts of adorable. Finding out that ColourPop and Hello Kitty are teaming up is definitely cause for happy tears. Yes, def send your apologies in advance. Your bank account's about to take a hit! There's been very few hints given about what will be in the collection, but it's still worth getting excited about! According to WWD, there will be 15 products in the range. Expect to see everything from eyeshadow to a metallic liquid lipstick. Yay! I seriously can. not. wait.